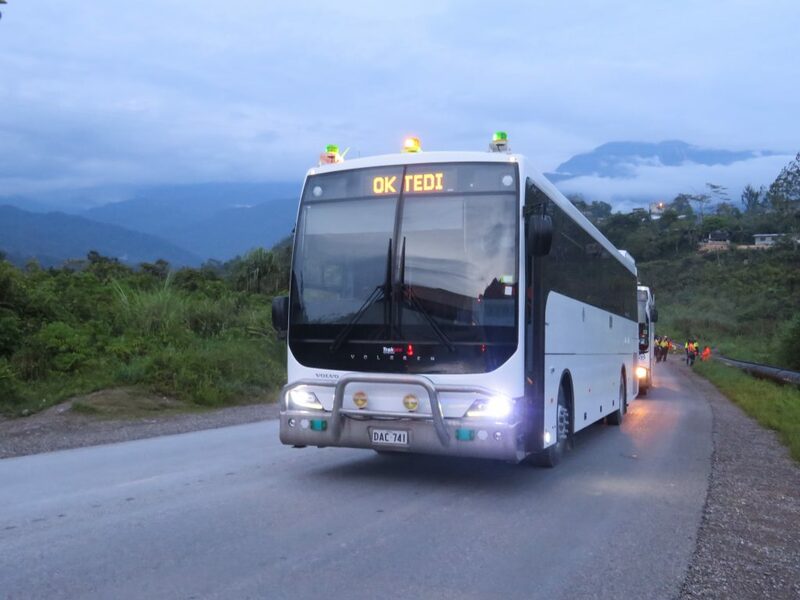 Leading bus builder Volgren has partnered with its long time ally Volvo to deliver four of its Endura-bodied buses to a remote site in Papua New Guinea that serves up some of the harshest road conditions buses could face. Located in the Western Province of tropical PNG, near the company-operated township of Tabubil, The Ok Tedi open-pit gold and copper mine is located 2000 metres above sea level in a climate of extremely high rainfall. The four new buses, built on Volvo R6BKSS chassis, are replacements for an original order of eight vehicles delivered to the mine by Volgren and Volvo in 2010. Greg Reichelt, a long-time sales executive at Volgren, travelled to the mine to experience the conditions first-hand and the requirements of the build. “The buses are used every day, morning and night, taking workers from the town up the mountain to the mine site and back. A 40-minute drive each way. The gravel road from Tabubil to the mine is steep and winding and needs to be graded and rolled every day just to keep it accessible,” Reichelt explained. He said the buses were “highly customised” to meet the requirements of the mine owners and the environment. “Ok Tedi is all about quality and longevity of a product, not upfront costs. 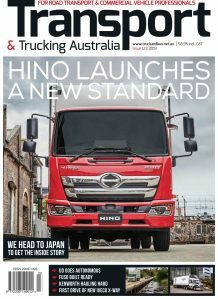 The operating conditions require a proven product designed to last,” Reichelt said. In 2010 Volgren serviced the first order of buses in partnership with Volvo, which at the time was supplying heavy machinery and trucks into the site. Reichelt said that the original eight buses “have stood up very well” under the extreme conditions they operate in. Volgren said that it was a three-month process to ship the buses from Victoria to Queensland, across to PNG and then barging them up the river to the mine site.